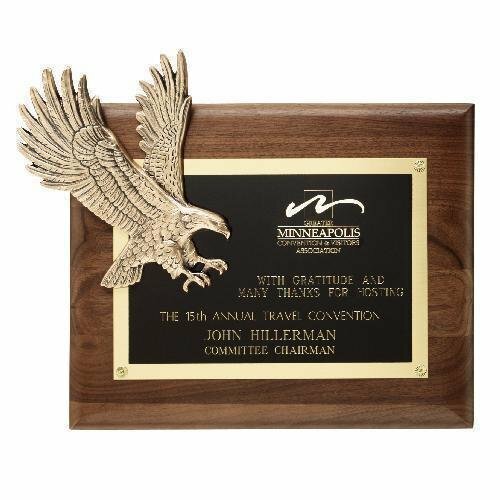 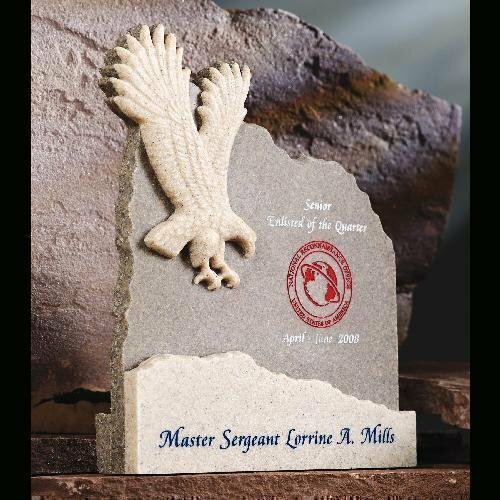 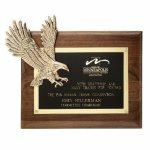 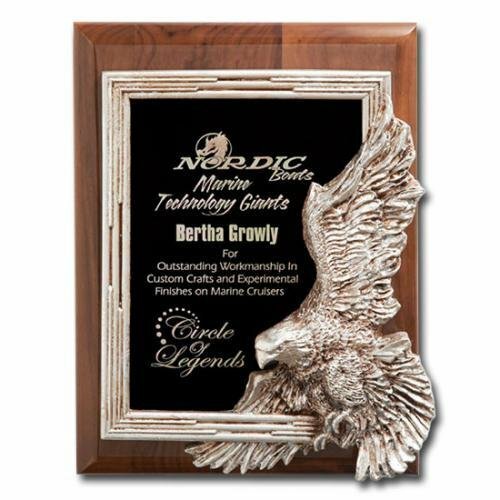 Cast eagle award with 24 Karat Gold finish is mounted on an American walnut base. 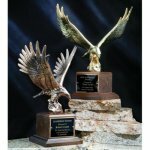 The eagle is also available in antique bronze finish with the same walnut base. 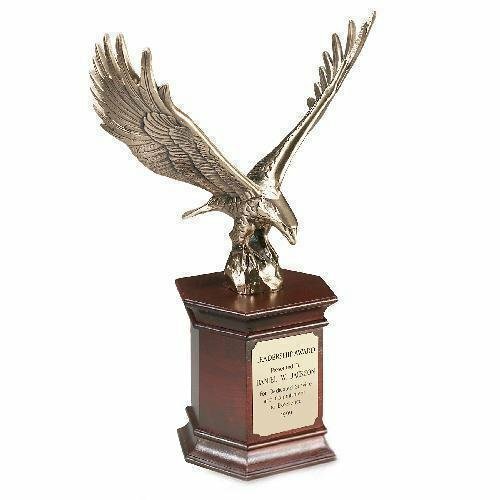 Cast eagle award is hand crafted in America with an antique Bronze finish and mounted on a mahogany finished American walnut base. 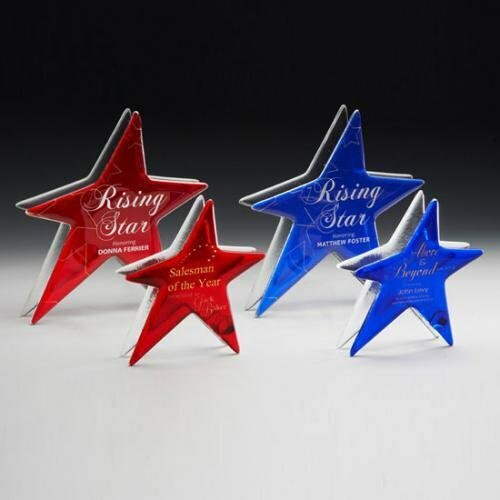 With it's complex points, one of the most difficult glass shapes to cut is the star. 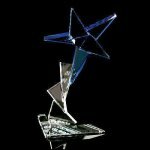 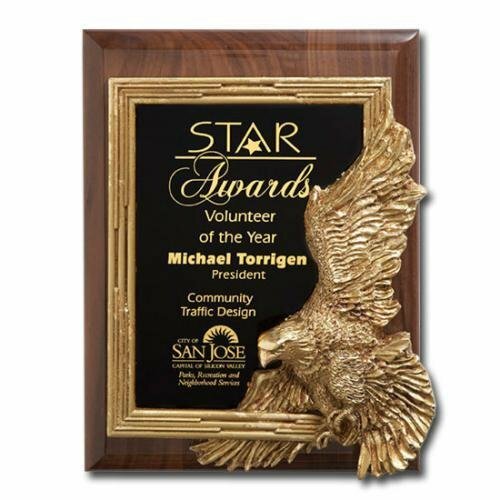 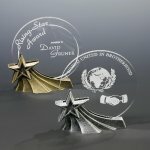 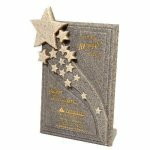 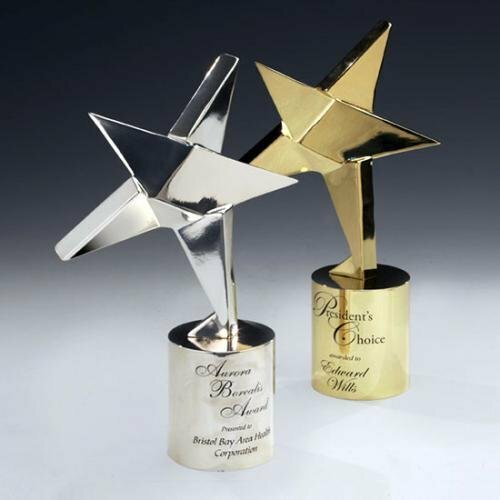 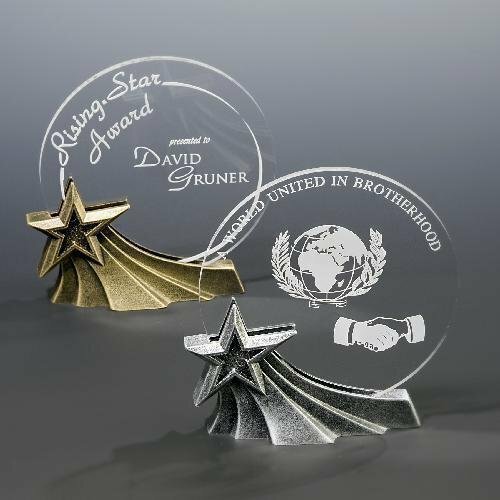 These free-standing star awards are crafted from double layers of glass, kiln fired and mounted to dimensional crystal spacers to create this ethereal sculpture, perfect for any rising star. Sapphire, 6" x 5-1/2" x 1-3/4"
Ruby, 6" x 5-1/2" x 1-3/4"
Sapphire, 7-1/2" x 7" x 1-3/4"
Ruby, 7-1/2" x 7" x 1-3/4"